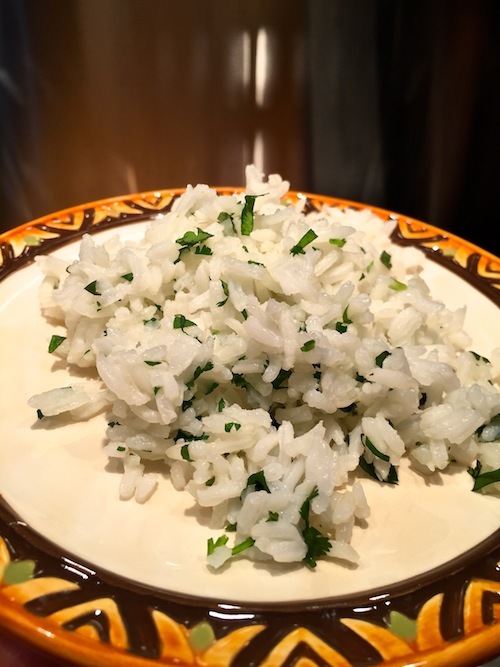 Cilantro Rice, Arroz Con Cilantro, is aromatic, light, and it foregrounds cilantro. The story of cilantro is the story of how human beings constantly interact with each other, often in unexpected ways, exchanging ingredients, traditions, and the love of food. 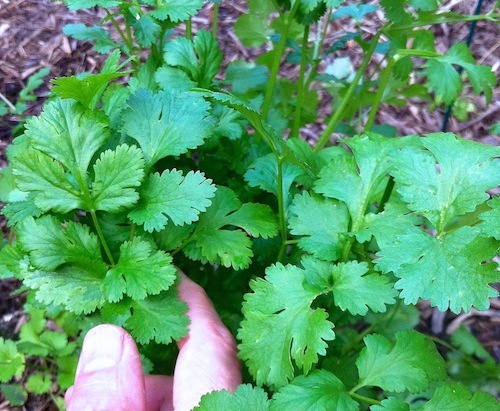 Cilantro came to us in the 1500’s with the conquering European immigrants. We’ve fallen in love with the herb, and it is now a mainstay of our cuisine, an example of cultures meeting in creative, loving ways. (The Euro conquest of Native Americans was horrifically violent). Cilantro Rice, Arroz Con Cilantro, has both cooked and raw cilantro to heighten the aroma and green color. I often serve it with Chile Relleno Lampreado. 1. Heat the oil in a saucepan, add the rice, and cook for 2 minutes. Add the green onion and cook for 1 minute. 2. Add the water, salt, and 1/2 cup of the cilantro. Bring the water to a boil, and then lower the heat to a low simmer, cover and cook for 12–15 minutes. 3. When the rice is cooked, add the other 1/2 cup of cilantro and gently toss with a large fork or tine.